For Ambitious Female Entrepreneurs Who Are Ready To Take Their Content Marketing Game To The Next Level In 2019 Without Feeling Lost, Overwhelmed or Completely Burnt Out. This is your invitation to gather and connect with other ambitious female entrepreneurs like you and experience breakthroughs and exponential results from small initial efforts. Whether you want to focus on creating new content that sells or organizing and repurposing existing content, this will be the perfect time to not only get faster and easier results, but to finally have an efficient system that you can take home with you and apply throughout the year. 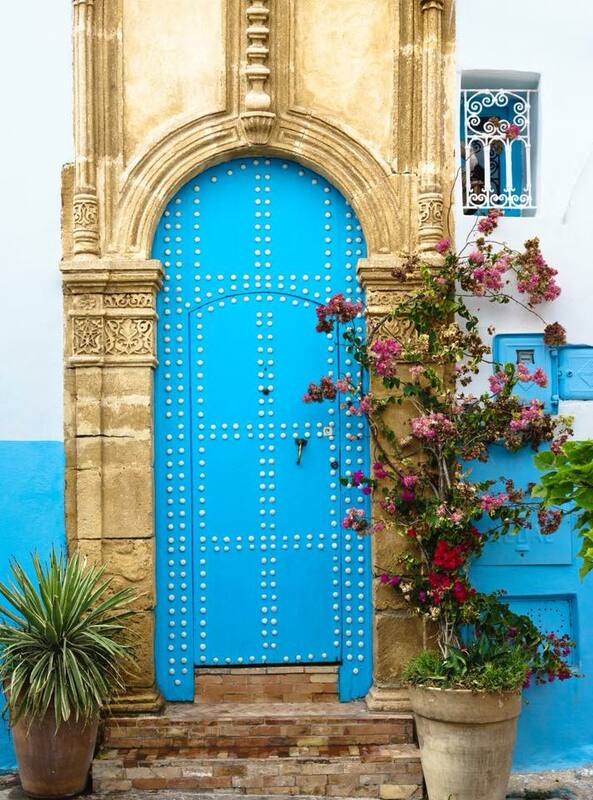 Pack your bags girlfriend, cause we’re heading to the Kingdom of Morocco! If you’re reading this, my guess is that you’ve struggled to create and share consistent content for your business, and having a concentrated time to focus on planning amazing social media content for 2019 would be nothing short of a blessing. During these 7 days, you won’t be the chauffeur, the cook, the cleaner or the grocery shopper. For once, you will be the guest seated at the table of honor. Catered to and taken care of. You know there has to be an easier way to create, plan and share consistent content without feeling overwhelmed and burnt out every single week. You want to have 90-days’ worth of content mapped out. Yes, that’s a whole quarter! You refuse to spend 24/7 of your time in front of your computer screen or your phone to scramble for content ideas. You want to be known as the go-to expert in your niche. You want the support and accountability from a sisterhood. You’re just plain tired and desperately need some time off because you know deep down that you deserve it even if you never openly ask for help or a break. This is for me! I'm ready! 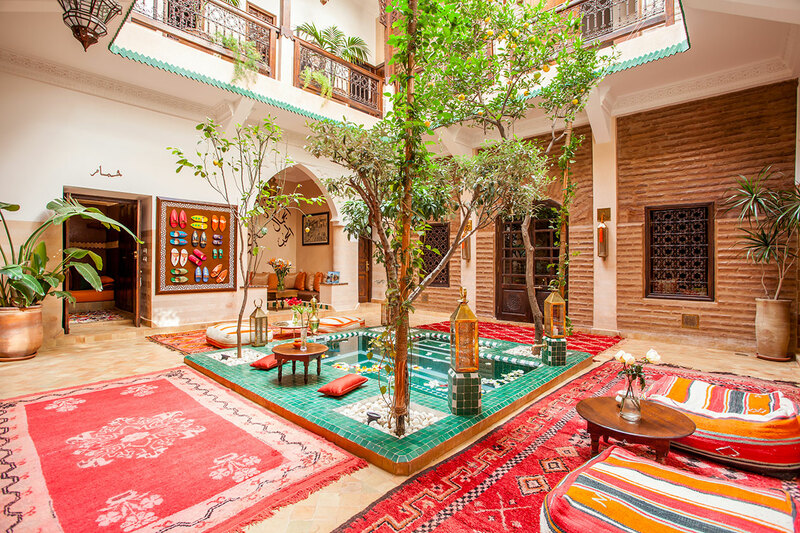 We’ll be staying in our very own Riad – a luxurious and authentically Moroccan guest house. 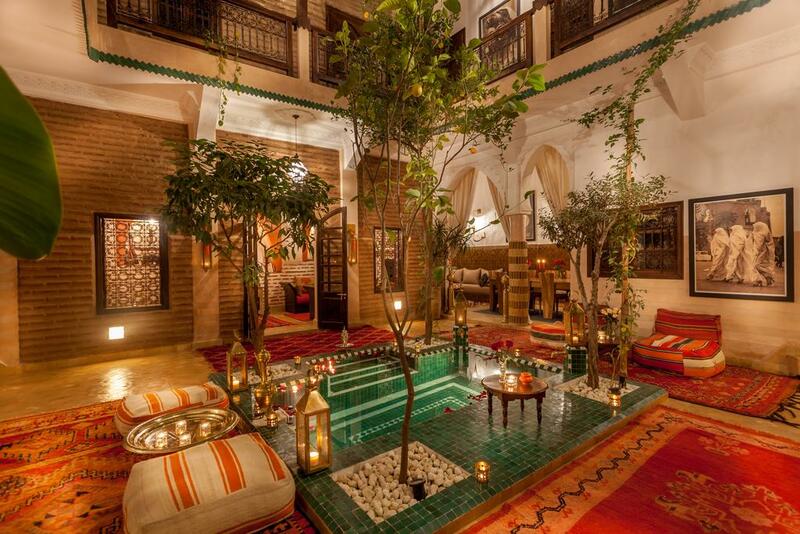 This is the perfect oasis nestled in the heart of the old city of Marrakesh. Your perfect escape away from the hustle and bustle of this vibrant city. 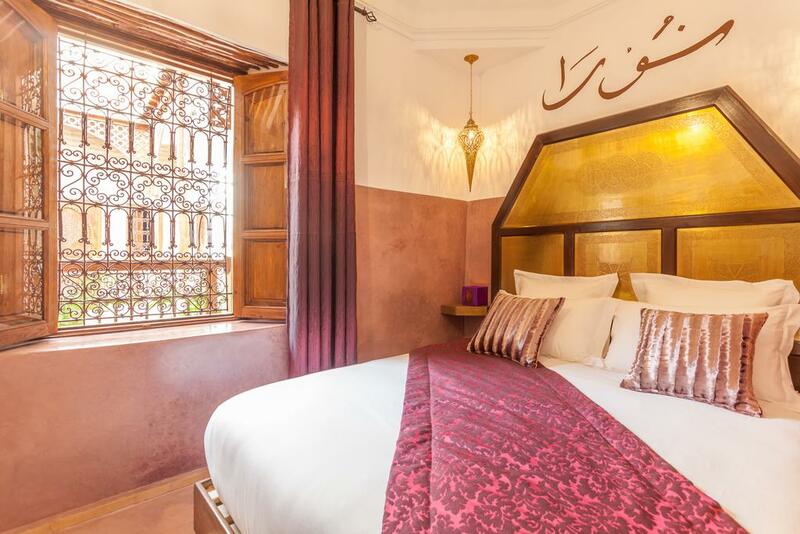 Although it went through a recent renovation, Riad Dar Yema still keeps it’s 17th century charm. As the owner say, it has the luxury of a palace, the warmth of a family home, and simplicity under the stars. 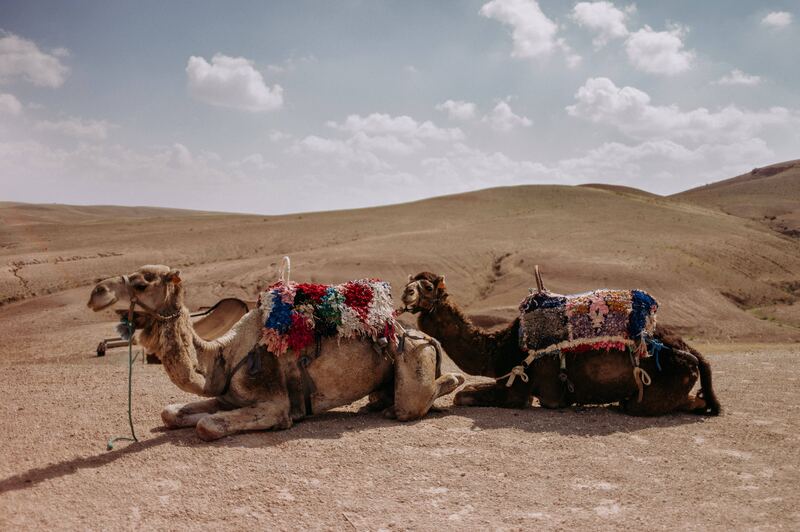 In addition, we’ll get out of the city to spend one night under the stars in the beautiful Agafay desert. Waw! I'm ready to pack my bags! 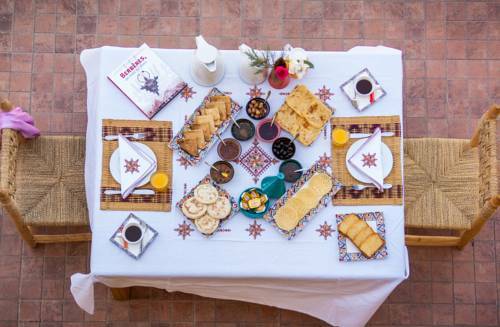 The onsite chef at our Riad will take you on an authentic culinary journey with traditional recipes. 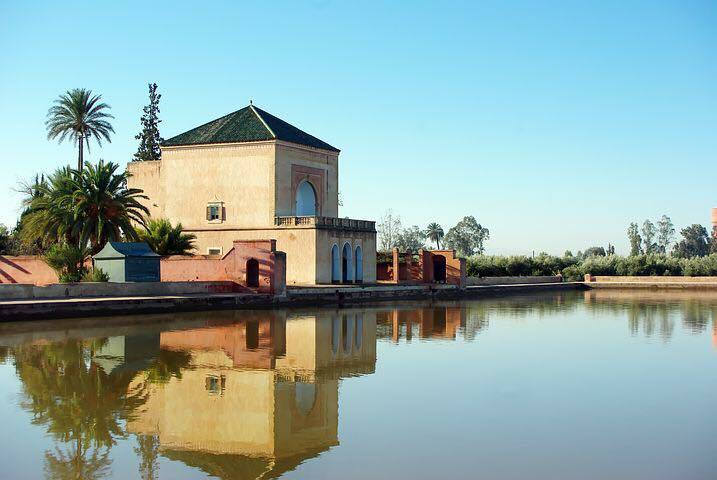 Chef Amina will prepare meals respecting the pure tradition of the Moroccan family cooking. 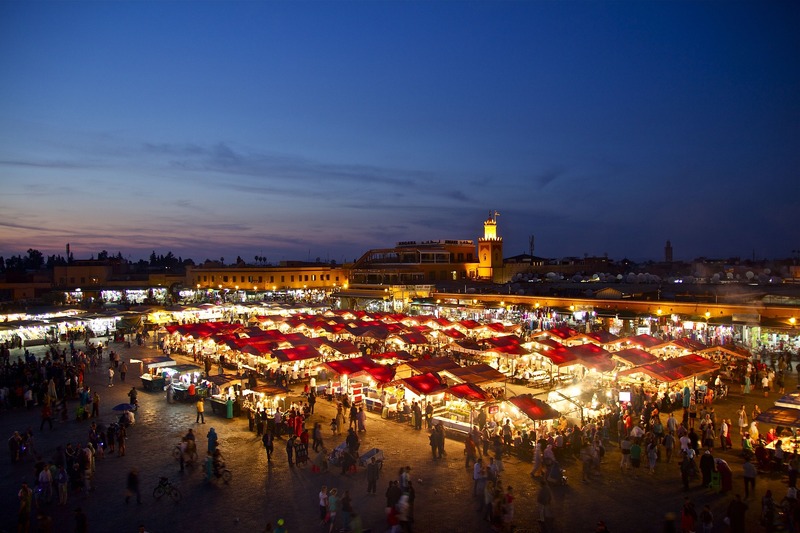 The cuisine is simple, pure and authentic in each dish, full of bright colors and tempting pleasant fragrances of Marrakesh. 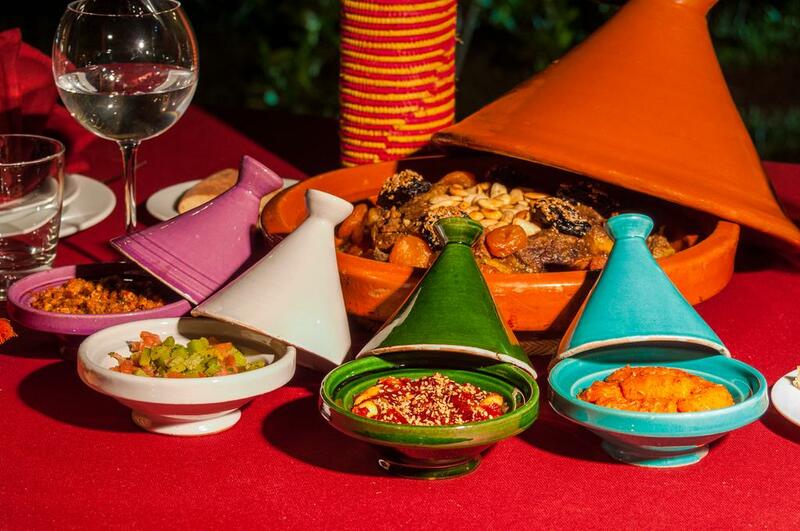 Some of the dishes you’ll get to savor include Moroccan soup (Harira), Couscous, countless Moroccan salads, side-dishes, tajines, Pastilla and many more. On top of that, you’ll get a chance to shop for the best ingredients at the local market to learn how to make some of these delicacies during a cooking class. 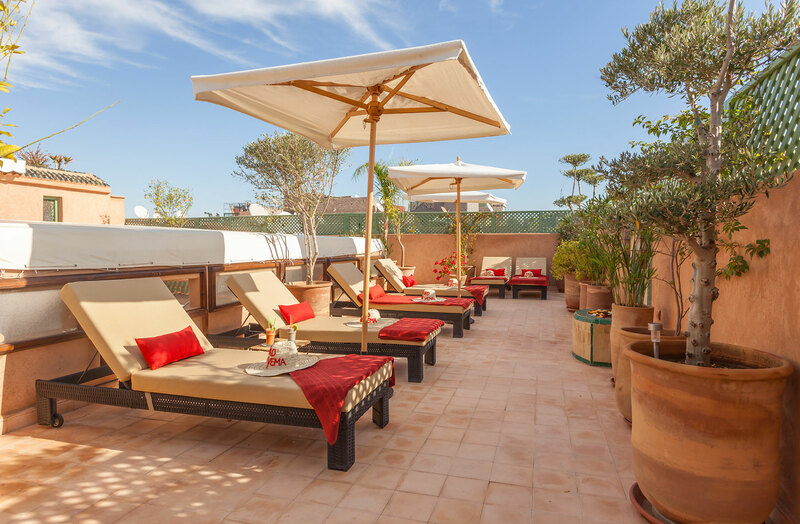 Trade the hustle and bustle of the Red City for the peace and tranquility of a glass of juice or mint tea on the rooftop terrace, the pool or even the hammam. 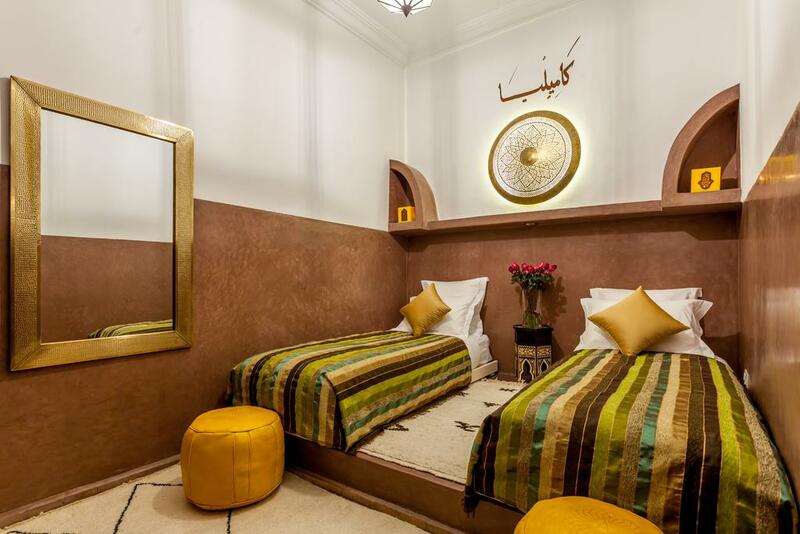 The traditional hammam of the Riad has recently been restored in order to regain its beauty and its usefulness. The ‘’hammam’’ offers a deep cleansing ritual with the Moroccan traditional black soap, followed by a deep and gentle exfoliation with the” kessa” glove. A ”ghassoul” body mask completes the treatment and works to purify the skin thoroughly. After the ”hammam”, a massage using the exclusive local products such as essential oils made from orange blossom and Argan oil will enhance your well-being. This retreat is the big opportunity you’ve been wishing for in your business, as you’ll finally connect the dots between your business goals, the right offers that will support your goals, and the type of content that you must share for your dream clients to ask to work with you before you even share your services! With that say, know that when we work hard we play hard as well! During this retreat you’ll finally unleash the genuine, playful, and dragon-slayer in you that’s been hidden for way too long. One day you’ll feel like a queen in your own domain, savoring locally grown dates and the finest pastries laying in your caftan on the terrace overlooking your kingdom, and on another day you’ll venture through the streets and shops of the souks haggling your way through leather shoes, carpets and exquisite jewelry pieces, only to also find yourself on the back of a camel in the middle of the desert, completely enchanted and in awe of God’s creation. Yes, I need new adventures! This is not just a vacation to get away from your spouse and kids. Nor is it just a “glamping” trip among girlfriends. Yes! I want my 90-days' worth of content mapped out! When was the last time you did something just for yourself, without your spouse and your kids? And I’m not talking about grocery shopping! 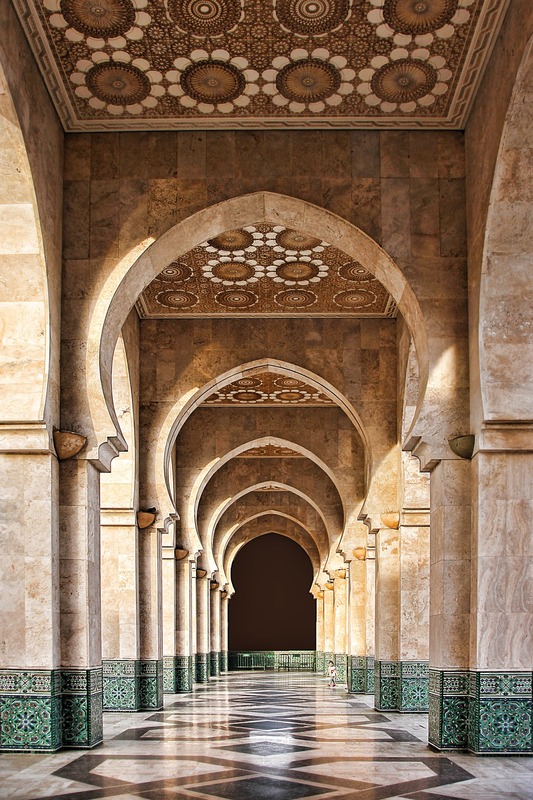 When’s the last time you indulged in massages and other luxurious spa treatment that had your whole body covered in authentic essential oils and Moroccan argan oil? No endless distractions on YouTube or Instagram. You will finally get the time and the right environment to focus on the exact actions that will help you fill your 90-day content calendar, stay consistent without burning out, and establish yourself as the go-to expert in your niche. I’m your personal local connection that will help you navigate the cultural environment. This is not a cookie cutter-generic-blend-trip. No, no, no. This is an authentic professionally and personally transformative experience where you’ll not only be welcome in my “home” to finally connect the missing pieces in your business but also to indulge in culinary delicacies, spa treatments, and once in a lifetime adventures. I hope you’re ready! Yes, I'm coming with you! It’s time. 7 days to propel you to expert status. It’s time. 7 days to focus on you. For massages and delicious meals delivered to your table. This is for you. For your growth. This is your time and 2019 is your year! Place your non-refundable deposit of $500 to reserve yours. Linda Enoh is a content strategist and self-professed #planningnerd. She’s passionate about everything travel and planning. So much so that she has a PhD in Tourism Sciences! Yes, there’s such a thing. 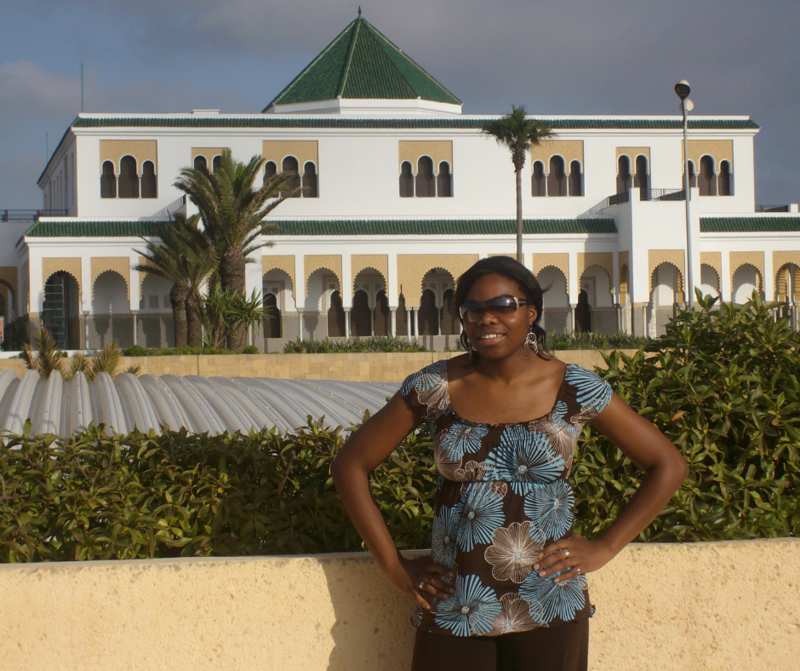 Born and raised in Morocco, Linda grew up in a multicultural environment when French was spoken at home and school, English at church, Spanish on TV and Arabic on the streets. With that, she fell in love with travel and cross cultural understanding at a young age. Linda believes in purposeful and hands-on education and that’s why she’s applied all her years of teaching in academia to the online coaching industry by supporting her clients to create, plan and share consistent content without feeling lost, overwhelmed, or burnt out. Linda proudly wears many hats, including author, professor, speaker, coach, wife, mom of 4 kiddos under 5, and Christ-follower. 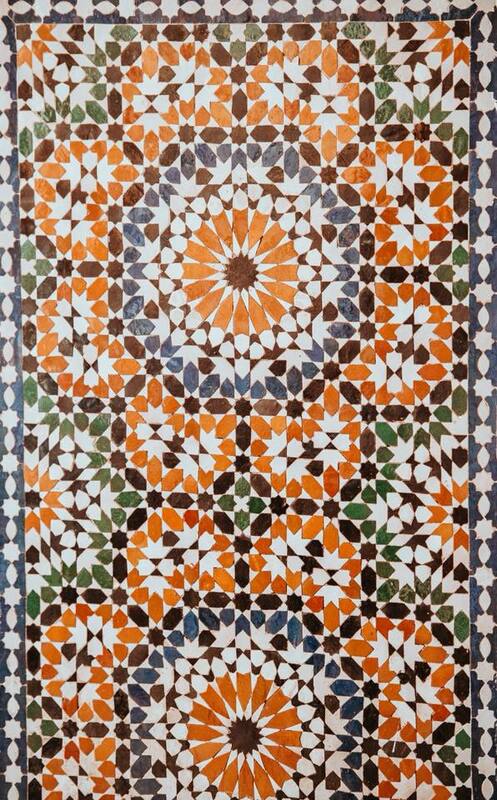 Let's meet in Marrakesh, Linda!